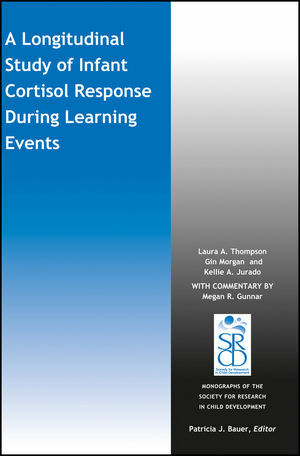 Cortisol, a hormone associated with the stress response, affects adult performance on learning and memory tasks, yet whether cortisol helps or hinders performance depends on the direction of cortisol change during the task, the amount of change, and the type of task. Past studies of infants are few and confl icting regarding whether an increasing or decreasing cortisol reactivity pattern facilitates cognitive performance. Similarly, few studies have assessed whether an association exists between maternal sensitivity and learning in infancy. The present study assessed relations between maternal sensitivity, infants&rsquo; cortisol response to maternal separation and a novel cognitive task, and cognitive performance at 3, 6, 8, 10, and 12 months. At each phase, infants completed different cognitive tasks, maternal and infant cortisol was measured before and after the task, and motherinfant behavior was assessed to determine maternal sensitivity. When performance on the tasks varied with cortisol response or maternal sensitivity, better performance was associated with a decreasing pattern of cortisol response (lower cortisol after the task than before) and higher levels of maternal sensitivity. Relations between cortisol response and infant cognitive performance were not, however, mediated by maternal sensitivity. Longitudinal analyses revealed no intra-individual stability in infants&rsquo; cortisol response patterns over the fi rst year; however, at the group level, the decreasing cortisol response pattern became more prevalent across this age range, especially in girls. Additionally, beginning at 6 months, maternal sensitivity was stable across phases. Results are discussed in terms of their implications for the development of regulation abilities during infancy. Laura A. Thompson is a Distinguished Achievement Professor of Psychology at New Mexico State University. She received her doctorate in psychology from the University of California, Santa Cruz. Gin Morgan received her doctorate in psychology from Columbia University, served as a post-doctoral fellow in psychology at New Mexico State University, and is now a Lecturer in Psychology at Indiana University Kokomo. Kellie A. Jurado received her B.S. from New Mexico State University, and is now a graduate student in Virology at Harvard University. Megan R. Gunnar is a Regents Professor of Developmental Psychology and Director of the Institute of Child Development at the University of Minnesota. Her research focuses on the neuroendocrinology of stress and social buffering in human development and the impact of early adversity on neurobehavioral development. She is the recipient of the Distinguished Scientific Contributions to Child Development award from the Society for Research in Child Development, the G. Stanley Hall award from division 7 of the American Psychological Association, and the mentor award for lifetime achievement from the Association for Psychological Science.